In general, aftercare is much more important than the way in which the aesthetic treatment is performed.. This not only applies to equipment that generates electric arcs, but also to lasers, cosmetic peels and other aesthetic treatments. This is simply because if the area is not kept clean, the likelihood of developing an infection increases. In this section, you will learn about the main points of aftercare, the type of antiseptic that will be used, the optional soothing treatments and warnings. Most importantly the area you treated must be kept clean in order to avoid infections until the part has recovered completely (i.e. the scabs have formed and fallen off by themselves or the peeling effect has ended). This occurs within 10 days from the aesthetic treatment. This alone will suffice as after-care. All other aftercare treatments are not strictly required as the body will naturally take care of the healing process. It is also important to avoid exposing the treated area directly to the sun for at least 2 to 3 months after the aesthetic procedures. Broad Spectrum Sun Screen must be applied every day on the area treated. Although the likelihood of hyperpigmentation is low cannot be completely eliminated and it is exacerbated by excessive sun exposure too early, even while using total sunscreen. If they form, do not pick the scabs and let them fall off by themselves. If the old skin layer is peeling off not to force it off on purpose. Do not apply any make-up (even mineral) until the scabbing or peeling effect has ended and /or any scabs which might have formed have fallen off by themselves. Do not apply any plasters on the treated areas as doing so can delay the natural healing process and increase the likelihood of undesired effects. Avoid sun exposure and wear broad-spectrum sunblock on the treated area. This has to be done after any scabs which might have formed, have fallen off by themselves. Please note that despite the fact that the appropriate sunblock has been worn direct exposure to intense light sources must be avoided in any case of 3 months after the last treatment. The use of any flammable and alcohol-based antiseptics are strictly forbidden during the use of electrical arcing for aesthetic purposes, this is because flammable antiseptic can ignite during the treatment, therefore, causing various hazards. Also, the type of antiseptic used for the after-care has to be fit for purpose. Some antiseptics are too aggressive hence not suitable as after-care products after the use of electrical arcing for aesthetic purposes. Why is it important to use antiseptics regularly after these treatments? Although the aesthetic treatment has been carried out correctly, and the area is virtually free from a real likelihood of infections at the time of the treatment, the area will be subject to atmospheric agents and in contact with non-sterile garments while recovering. While the client will have to make sure that all unnecessary infection hazards are avoided, some degree of contact with non-sterile objects or garments can sometimes be unavoidable. Therefore the treated area should be cleaned periodically with an appropriate antiseptic until the scabs will have formed. Benzalkonium chloride solutions have been shown to be not only effective but leading to the best results if used appropriately. The recommended active ingredient in the antiseptic to be used for these types of aesthetic treatments is Benzalkonium chloride. Antiseptic solutions containing Benzalkonium Chloride are widely available on the market. The concentrations are usually between 0.17% to 0.2%. 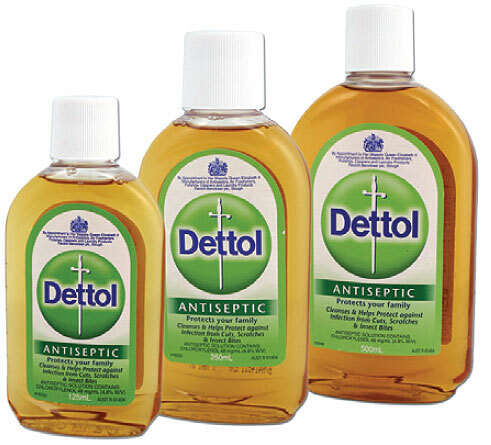 In the UK these types of antiseptics can be found at any chemist, the most common brand is Dettol Antiseptic Wash 0.198%. This products or equivalent custom solutions should be used to clean the treated area in the morning, early afternoon and evening before going to sleep. No other types of antiseptics should be used. If alcohol-based or other antiseptics are used then there could be some increased likelihood of undesired effects. Wash the treated area twice a day, in the morning and before bedtime using the Benzalkonium Chloride solution. Increase the number of washes if necessary. Remember to dry very gently without rubbing the area, using a very clean towel (preferably sterile dressing). Do not apply occlusion using plasters of any type (do not bandage the area). Apply the appropriate soothing product immediately after you have finished the treatment. Please note that the main application of the soothing products is eyelid tightening. This will minimise the perceived downtime by minimising the swelling. For all other aesthetic applications of Voltaic Arcing, this is not strictly necessary and do not show any significant benefits. After all significant swelling only appears after eyelid tightening and not after the other aesthetic treatments possible with electrical arcing. For this reason, the use of soothing products should be avoided in all other aesthetic treatments and be only used for eyelid tightening. (If you have performed skin tightening, do not remove the carbon residues intentionally). The more the client is exposed to sunlight including other artificial light sources (even while wearing Broad Spectrum Sunblock) the higher the risks of hyper-pigmentation. Wearing camouflage make-up or any other type of makeup before the area has recovered can result in delayed recovery, hypo-pigmentation and increase the risks of infections and hence scarring. → During the recovery period, while the scabbing is still to form, there is a general temptation of using cover up make up, or any makeup to resume the normal day to day activities immediately. → One of the main problems of makeup is the fact that makeup products are not meant to be sterile. Therefore the use of non-sterile products in an area that is still recovering from an aesthetic procedure will increase the likelihood of infections which may eventually result in scarring. Do NOT apply any plasters to cover the treated area. Do not use antibiotic products as means of preventing infections. The use of antibiotic products as means of prevention is not recommended by the wider scientific community because it can increase future bacterial resistance. 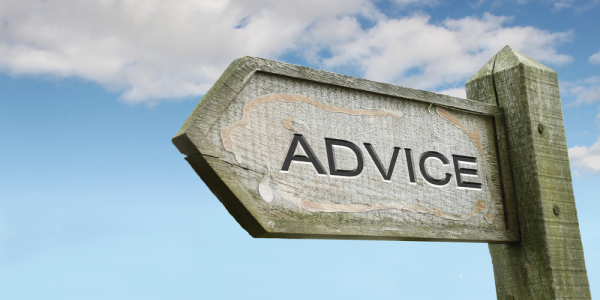 To not use any medicinal products during the aftercare unless prescribed by a medical practitioner. The use of any type of aftercare products not recommended by Areton Ltd may not be fit for purpose, and hence increase the likelihood of undesired effects. Therefore if in doubt do not use any drugs, cosmetics healing balms etc.